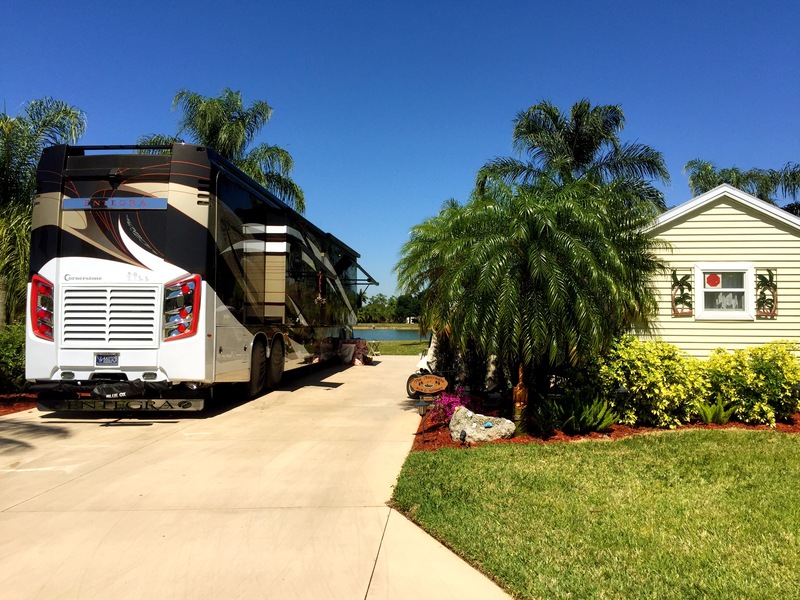 We had a wonderful month In LaBelle, Florida seeing old friends and making new ones – but we left for Mt Pleasant following a stop in Atlanta at NIRV to drop off the Taj for some work prior to our big 6 months West Coast trip. 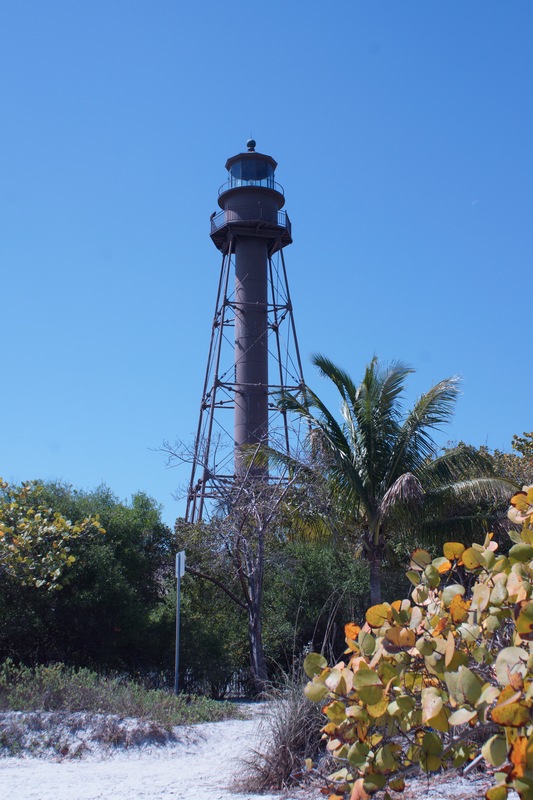 We visited Sanibel, Captiva and Venice FL. during our Riverbend stay and love these special places – we will return to them next year definitely! The weather was fabulous and we enjoyed our second no snow & no sleet winter! Our Riverbend site is getting more work done – we bought stone edging to improve the gardens and add some sparkle. 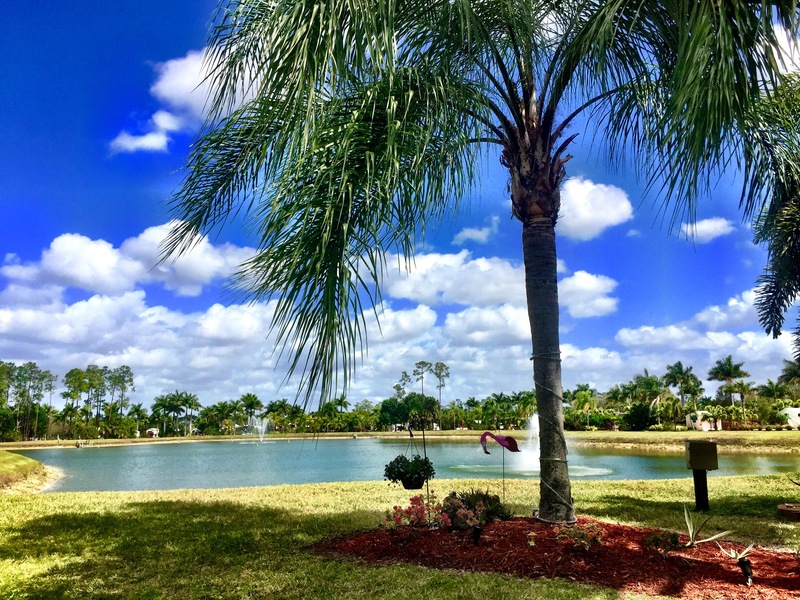 Our landscaper has done a great job with the shrubs and palms – we added the bouganviella – they bring color to the gardens. But now we have stored our site’s lawn furniture & decor – all is packed away until our return early November 2017. We are home in Mt Pleasant for two weeks catching up with friends and family and enjoying our lovely home. 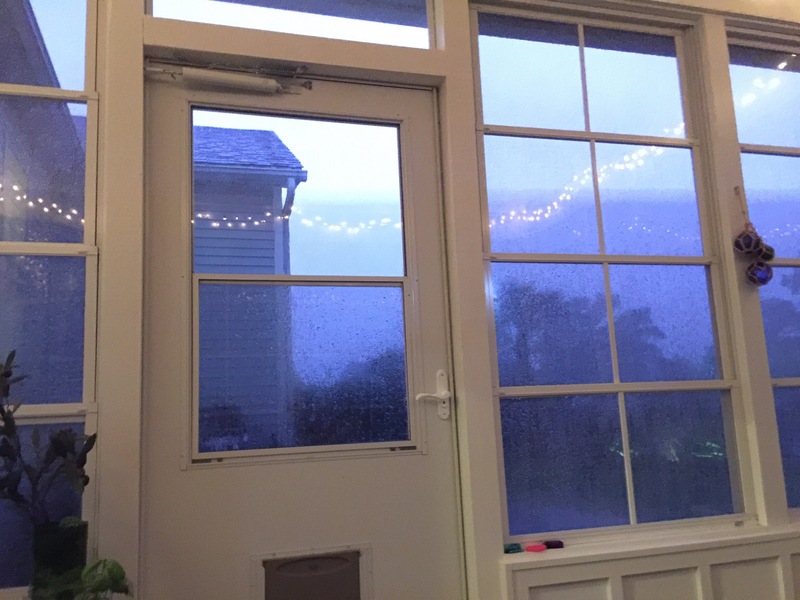 Also enjoying some crazy thunder & lightening weather! But we are very excited about our forthcoming western USA trip including three Fantasy RV Tours/Rallies and we can’t wait to get started in May. But our adventures really begin with a NIRV Rally in Thackerville, Oklahoma in the end of April. There we will spend several days with fellow Entegra Coach owners and snooze with NIRV folks. On the way we stop in Meridian, Mississippi and Shreveport, Louisiana and travel thru eastern Texas – adding more states to our USA map! After the NIRV rally, we have planned visits to Oklahoma City, OK, northern Kansas – to see the “world’s largest ball of twine” and then to Kansas City, Missouri before beginning The Lewis & Clark (Rivers West) Fantasy RV Tour on May 22nd. We begin the tour in St Charles MO north of St Louis and end in Warrenton, Oregon where Lewis first views the Pacific Ocean thus completing his assignment from President Jefferson. Following this first tour we have six weeks to visit friends and family in Washington, Oregon and California before beginning the National Parks West Tour in late August. Following this amazing visit to the seven beautiful national parks around the Grand Canyon, we will join hundreds of RVers to attend the International Balloon Festival in Albuquerque NM – checking a big item on my bucket list! We will return to Florida in the fall via stops in Dallas, Houston and New Orleans. Wow! It really sounds amazing when you write it all down! Also exhausting too – but in a good way! Lunch in Venice with ya’all was terrific!see you next year! With lots of stories. I can’t WAIT to hear! Plus I can follow here now:) Love the blog!